An interfaith prayer service took place on Monday, Nov. 5, 2018, in Benton Harbor, Michigan. Over 200 individuals attended the standing room only program, which promoted solidarity and healing and took a stand against all forms of hate and prejudice. Following the tragic shooting at the Tree of Life Synagogue in Pittsburgh, Pennsylvania, the Interfaith Committee of the Andrews University Community Engagement Council reached out to the Temple B’nai Shalom of Benton Harbor and together they began to plan the service. Southwest Michigan’s Interfaith Peace & Justice Collaborative and The First Hebrew Congregation of South Haven joined the effort as co-sponsors. 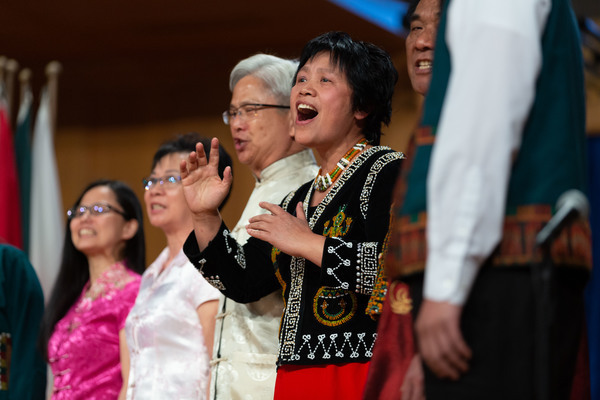 Christian, Muslim and Jewish calls to prayer were offered by various local faith leaders, and two inspirational musical selections provided messages of overcoming and healing. Significantly, candles were lit in honor of the victims of the Pittsburgh shooting—one for each victim and a twelfth for all others who have been victims of hate.